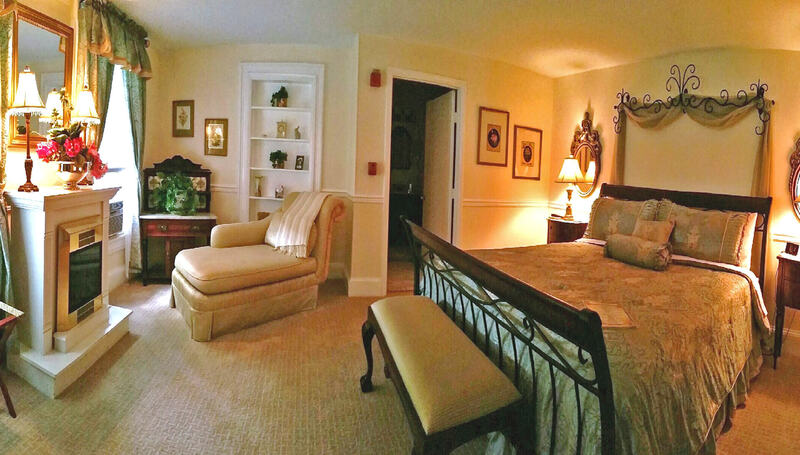 The Lindsey Room is a large first floor room with a beautiful and comfortable King Sleigh bed. It has a large private in-room bath with a tub/shower combination and a beautiful non-wood burning fireplace to enjoy summer or winter. Handicap accessible.